So will there be storms over the weekend or not? 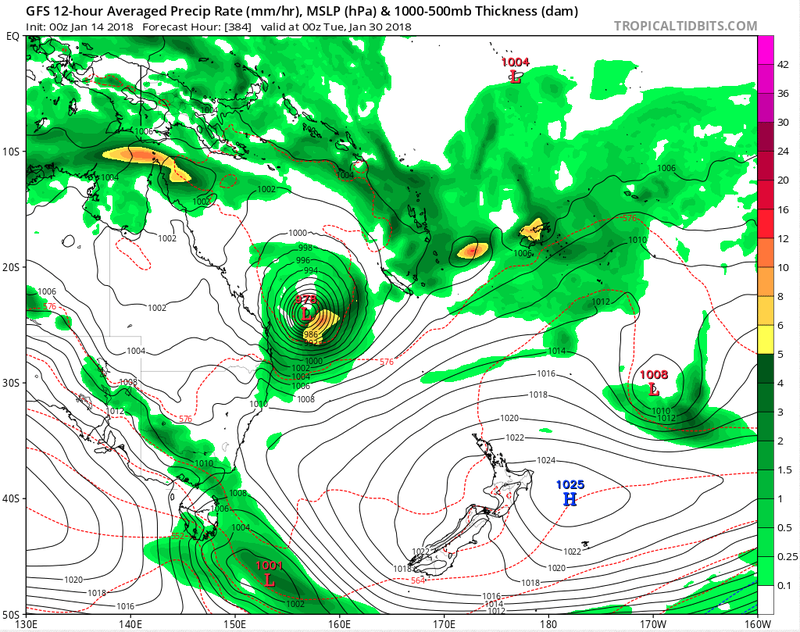 Weather pages, media and the BOM seem to think so? Nothing said here? A few of us actually made posts about it earlier this week but no-one else seemed interested. I'll start a new thread for it shortly if no-one else does in the meantime. P.S. Remarkable photos LightningGus... the 1st one reminds me of what many of the trees in some southside suburbs of Brisbane STILL look like after the big 2014 hailstorm and the extent of defoliation in the 2nd pic is remarkable. That is pretty crazy to see all those trees looking like that. Thanks for posting them up! Awesone oics L.G., reminds me of Fernvale a couple of years ago. Place looked like it got hit by a bomb. Sunday hasn't looked that great all week. Surface trough pretty much off the coast by mid-morning. Southerly arrives early and pushes the trough back a little inland. It does strengthen in the afternoon but it's still very dry upstairs. I can't see this being a big storm front or spawning supercells, but there could be some isolated activity. Hey guys, i know this gets asked a lot but i have just joined flickr and i can't for the life of me work out how to share pics on here.. Can someone please point me in the right direction (thread wise)for some instructions on how to. I sent these to someone awhile ago. 1. Upload your photo to Flickr in the usual manner. 2. When ready to upload to Weatherzone. In Flick go to Your photostream and click on the photo that you want to upload. 4. Another dialog box will come up which says "Share 1 photo to"
6. Another dialog box appears - you can select the size of the image here to comply with WZ requirements. 7.Copy the entire URL in the small window above (make sure you have the entire URL or it wont work). 8. You can just past the entire URL into the Message box on WZ. You can have a quick look in the Preview window to make sure it displays ok.
10. You can hit return a couple of time and type in any message you want to accompany the photo or do that at the start. 11. Any dramas send me a post. Thanks heaps Greg i will try uploading some again over the weekend. Very much appreciate you helping me out! I don’t know much , but I’m a pessimist this wknd. Not confident at all. Garden browning off , needs a drink but I doubt it will come from above. Love to be wrong. I find it interesting we have reverted to hot and dry again. Feels like a giant spring winding up. When it turns south east there’s going to be a lot of latent heat in the ocean. When it gives it’ll probably go bang. In some way. Prob late jan - feb by the looks of it. 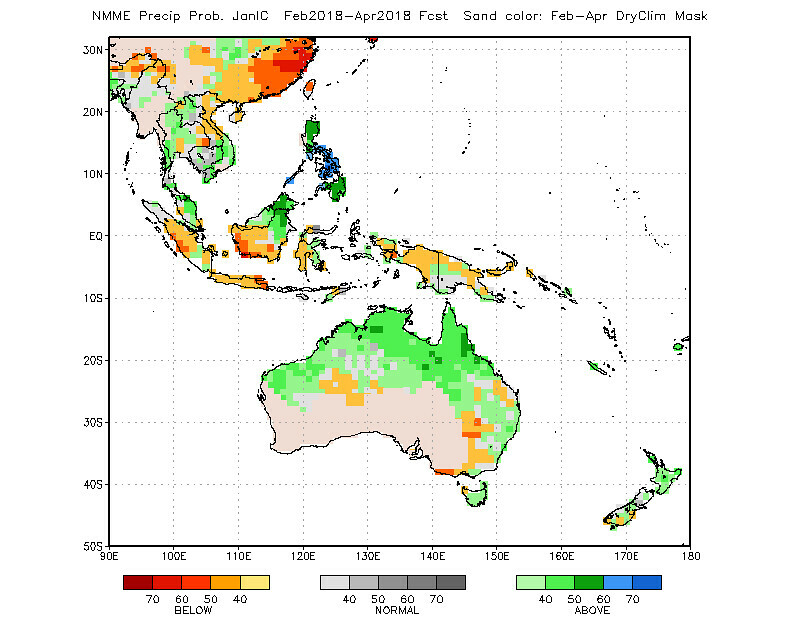 Speaking of heat, the big area of hotter than normal temps that's been appearing in the 7-14 day timeframe from now for the SE quarter of Australia in NAEFS is even bigger in its latest run and has expanded into inland southern QLD/inland northern NSW (although you'd naturally expect it to shift from run to run given the forecast timeframe is constantly advancing forwards with each run). Grass is dead so will take this with open arms.Temps got to 41.6 and is on the way down now. It’s like we’ve reverted to late spring/early summer! Love the lanina cool streaming of nw South America. 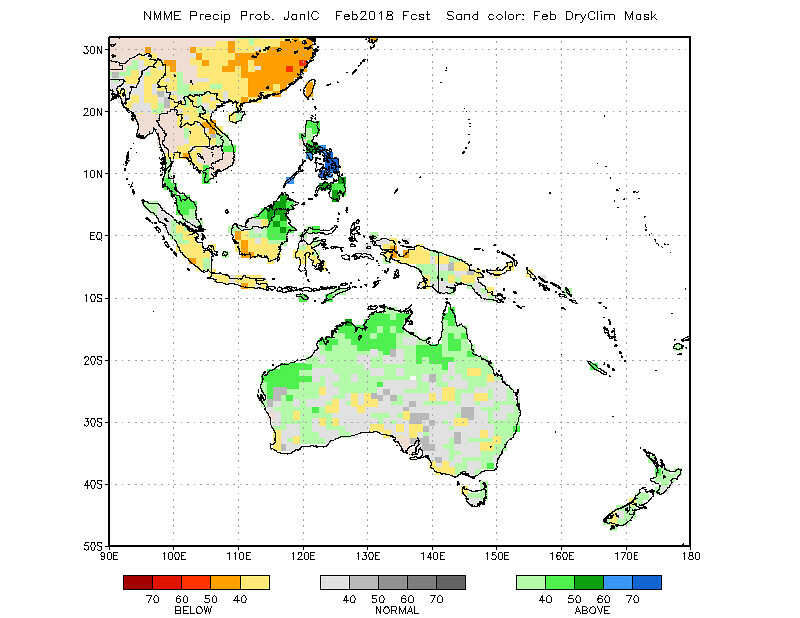 Btw my point about rain in feb relates to the bom rainfall outlook for increased likelihood of above average rainfall in feb in SEQ. Since when do we get clear skies and no wind the day after a big southerly has come through? Very strange. Generated in 0.027 seconds in which 0.013 seconds were spent on a total of 13 queries. Zlib compression disabled.